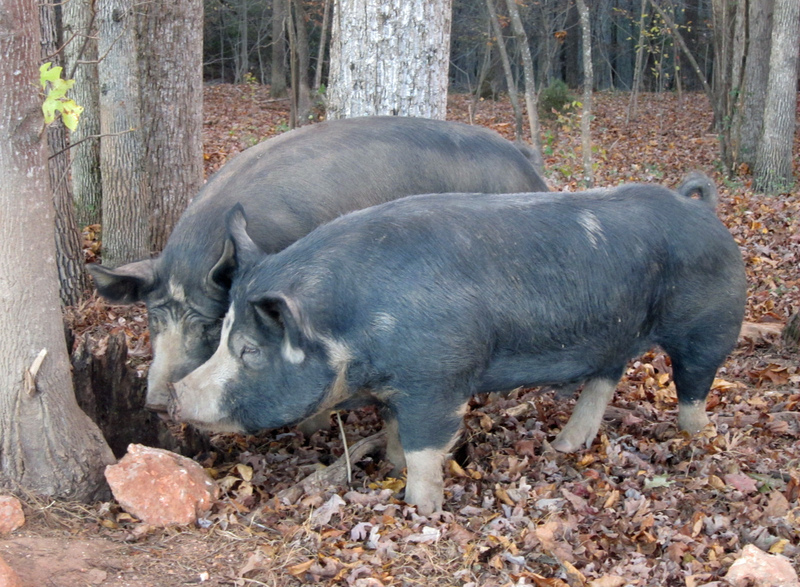 Here are pictures of Boris and Biggie, two of our prized purebred Berkshire hogs. See their little one nursing in the rear view. What a happy little family! Here’s a picture of Boris and his siblings when they were little guys. We have established a very nice herd of purebred Berkshires, in addition to our other hogs: Duroc, Tamworth and a Yorkshire/Berkshire/Duroc cross. We also raise Ossabaw pigs which are an endangered species of Spanish heritage. raised on pasture, 100% All Natural and Grass Fed. Contact us to schedule an appointment to visit one of our farms. Interested in visiting one of our locations? Call us today at (336) 202-9694 to set up an appointment to visit one of our locations.